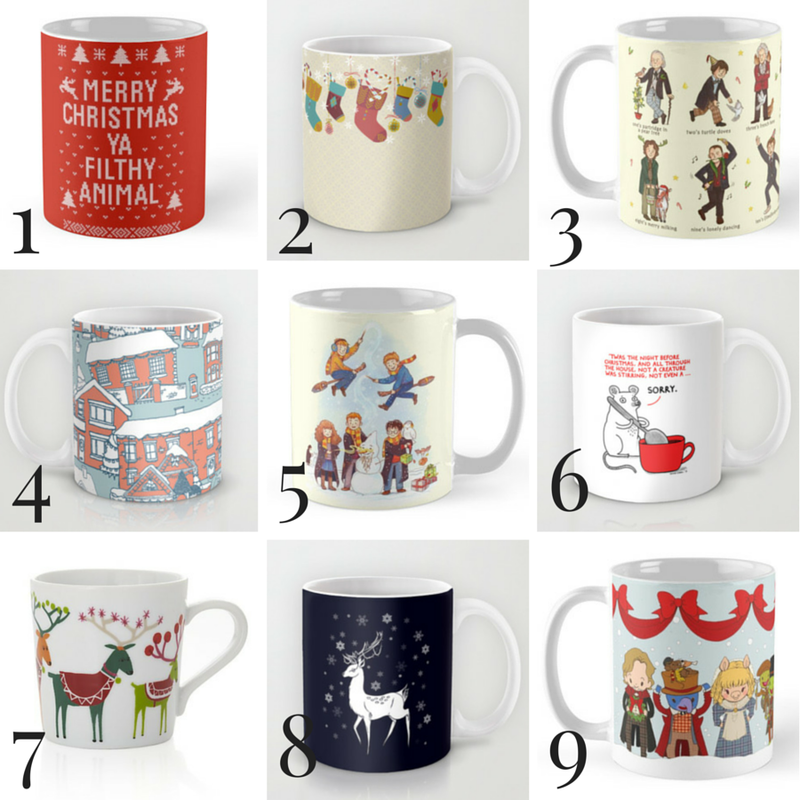 There were so many fantastic Christmas mugs to choose from, so it was difficult to narrow it down to these nine. Of course I adore the Twelve Doctors of Christmas and the Harry Potter Mischievous Magical Merriment, but the Muppet’s Tiny Christmas Carol takes the fruit cake. The Muppet’s Christmas Carol is one of my favorite movies of all time, and it is a must-watch during this time of year. Which Christmas-themed mug is your favorite? Do you have a must-watch film that gets you into the holiday spirit? I love #1 and #8! I LOVE ONE! And the Doctors! I just love mugs in general! The Doctor Who one is my favorite. 🙂 That reminds me, I haven’t watched the Christmas Special yet. Merry holidays to you! I’m a bit addicted to mugs, to be honest! I don’t have a ton of room for them, but I suppose it’s something you could say I collect. LOVE the Harry Potter and Doctor Who ones as well. I really like the mouse though; makes me laugh!